How Can I Get a Greenroof? Climate change is a universally accepted phenomenon. The activities of mankind have elevated the levels of greenhouse gases in the atmosphere. These greenhouse gases have led to warming of the planet. The main greenhouse gas is carbon dioxide. Carbon dioxide is termed a greenhouse gas. This means that it absorbs long wave radiation more efficiently than short wave radiation. Short wavelengths predominate in sunlight and penetrate the atmosphere warming the Earth. The Earth then returns longwave radiation. This longwave energy is absorbed by greenhouse gases such as carbon dioxide which, in turn, radiate part of the energy (in long wavelengths) back to the Earth so warming it. Experts now agree that global warming will happen and, in fact, is already occurring. The effects of climate change and global warming can already be seen around the world. These include extreme weather patterns, glaciers receding, icebergs travelling through the Pacific Ocean and rising sea levels. 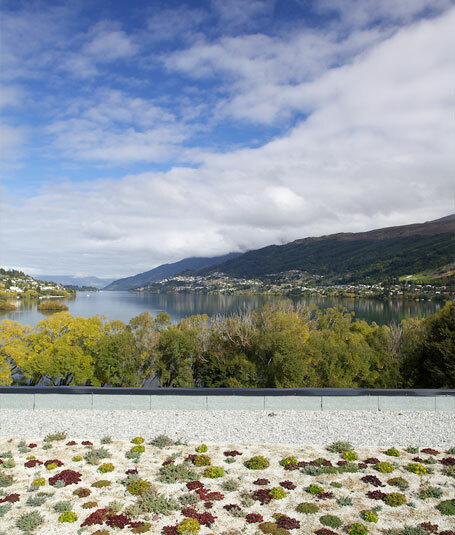 Greenroofs remove atmospheric carbon dioxide and release oxygen. So in a small, yet significant way, Greenroofs have their own part to play in the fight to slow down climate change.